This article is Part 2 of the history of Soyuz 23. Read Part 1 here. Soyuz 23′s descent module and deflated parachute are hoisted from the icy waters of Lake Tengiz (Credits: Joachim Becker / SpaceFacts.de). Almost four decades ago, in the “deep cold” of the Cold War, a number of space missions launched by the Soviet Union to dock with early Salyut space stations failed to accomplish their objectives. Another was forced to terminate its flight earlier than planned, due to problems with the station’s environmental control system. In October 1976, Soyuz 23 cosmonauts Vyacheslav Zudov and Valeri Rozhdestvensky thundered into orbit to occupy the military Salyut 5 outpost…and quickly ran into difficulties. Strong lateral oscillations, together with a lower than planned orbit and overexpenditure of attitude-control propellant, forced mission controllers to order the crew to abort the mission. The troubles of Soyuz 23, however, were only just beginning. It is at this stage of the mission that Lake Tengiz—a large salt lake in Kazakhstan—becomes pertinent. The nature of Tengiz was discussed in Part 1. Aboard Soyuz 23, Zudov and Rozhdestvensky performed their “retrofire” burn normally and were aware that high winds and blizzards were making conditions in the primary recovery zone dicey. Little could they have realized that those gusts would carry them no less than 75 miles (120 km) from the intended landing point. Moreover, as they descended, their capsule was enveloped by a thick blanket of freezing fog, and the only sensation was that of gently swinging beneath the parachute. Zudov told Rozhdestvensky to brace himself for the firing of the solid-fueled retrorockets at the point of touchdown…but both men were more than a little surprised when their epic journey ended, not with a hard thud, but with a loud splash. They had come down into the icy waters of Tengiz, about 5 miles (8 km) off its northern shore. 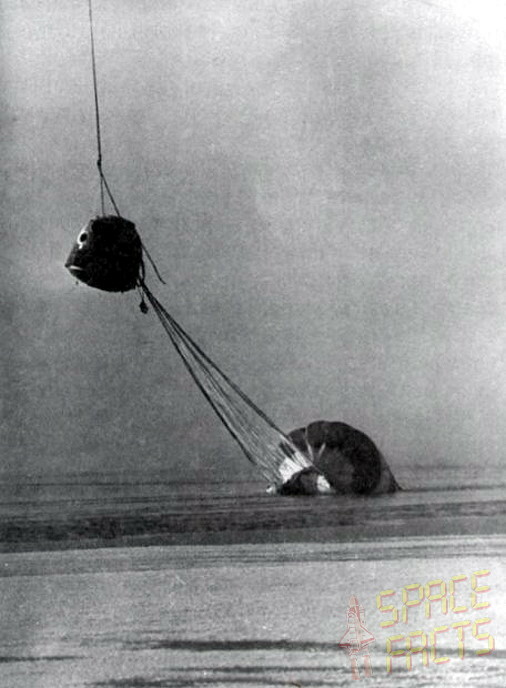 As the parachute dragged the capsule, it floated on its side and this prevented the cosmonauts from opening the forward hatch, lest they admit a flood of freezing water. Outside temperatures were minus 22 degrees Celsius. With only a two-hour supply of oxygen remaining in their suits, Zudov and Rozhdestvensky were relieved to find that the pressure equalization vent of their capsule was just above the waterline. They opened it. They were aware that it would only sustain them for five hours or so, but were not overly concerned, because they were convinced that recovery forces would be with them promptly. The two men removed their pressure suits, donned their flight suits and began tucking into their food rations. “To stay in such situation in the suits and do nothing,” Zudov later recalled, “we would be frozen and die. That’s why, first, we had to get out of space suits and to free ourselves of them. We spent an hour and a half to get out … even used knives to cut them, then we managed to wear our plain sport wear.” The recovery forces, though, were having their own difficulties simply spotting the floating capsule. 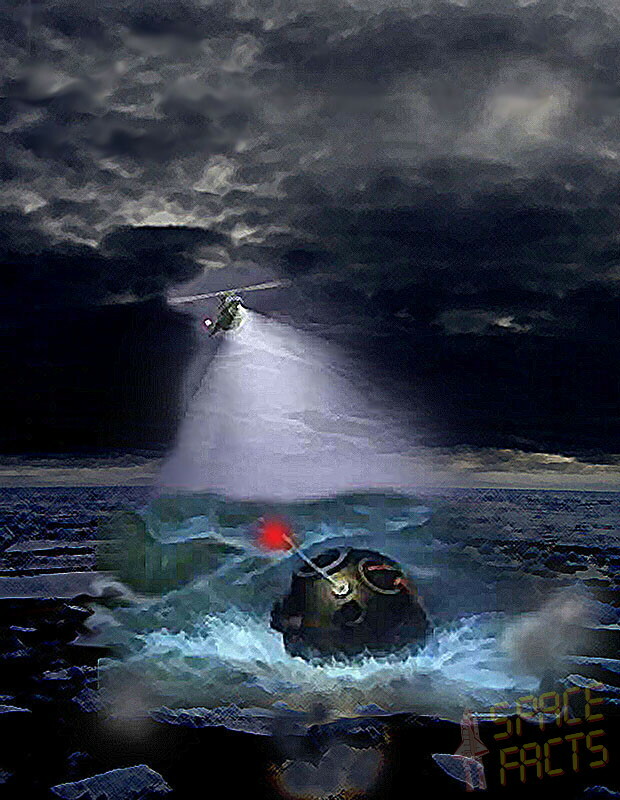 Splashdown had occurred at 8:46 p.m. Moscow Time on 15 October 1976, in darkness, and the steadily thickening fog had all but obscured the capsule’s light beacon from the rescue helicopters. Cosmonauts Zudov (right) and Rozhdestvensky spent 1.5 hours trying to writhe and cut themselves out of their pressure suits (Credits: Joachim Becker / SpaceFacts.de). If it was possible for circumstances to worsen at this point, they did. Salt corrosion activated the pyrotechnic charges for Soyuz 23’s reserve parachute, causing it to deploy…and instantly fill with icy water! Tengiz is not a deep lake by any standards, reaching barely 20 feet (7 meters) at most, but with the pressure equalization vent open, the cosmonauts would have drowned if their craft had slipped underwater. Zudov and Rozhdestvensky’s survival training took over at this stage. In order to conserve their remaining oxygen, they stopped talking and moving, which compounded the rescuers’ efforts even further, since they had difficulty establishing communication with the men and had no search signal upon which to focus. At length, a lone helicopter spotted Soyuz 23 by chance and pinpointed its location with a powerful searchlight. Iosif Davydov, a survival training expert and one of the helicopter crew, told the cosmonauts to don their water survival suits. The heat of reentry had quickly cooled the exterior of the capsule and, within the tiny cabin, the temperature began to fall rapidly and ice started to form on the walls. Outside, the first flurries of snow flickered downwards from an ominous, fog-enshrouded sky. Davydov readied himself to be winched down to the capsule, but the gathering snowstorm prevented the pilot from holding the helicopter in a sufficiently stable position. A second attempt to hover above Soyuz 23 also failed, and the would-be rescuers were forced to retreat to the shore. Progress to reach Zudov and Rozhdestvensky was agonisingly slow and many spectators doubted that the men would still be alive by the time they were extracted from the descent module. Amphibious vehicles arrived at the lakeside, but could not negotiate its many bogs and marshes, and even the deployment of life rafts was hampered by the blocks of ice and sludge on Tengiz’ surface. The rescuers had no options but to withdraw until first light the next morning, 17 October. Zudov and Rozhdestvensky would have to wait out the discomfort and the cold. To do so, they first had to switch off all internal power, to preserve the 40-minute limit to its on-board electrical supply, and the cosmonauts spent the night with just a tiny light for company. Artist’s impression of the flashing beacon atop the Soyuz 23 descent module attracting the attention of a rescue helicopter. The spacecraft performed the Soviet Union’s first (unintended) water splashdown in the icy Lake Tengiz (Credits: Joachim Becker / SpaceFacts.de). Not everyone was prepared to wait for first light. A handful of intrepid rescuers set out into the icy expanse of Tengiz in rubber boats, and one of them, a helicopter pilot named Nikolai Chernavsky, succeeded in reaching the capsule. There was little that he could do, however, for Rozhdestvensky would later liken the surface of the water to “a salted quagmire.” As the first glimmers of a wintry dawn shone over the lake, the cosmonauts turned on their exterior lights. With temperatures hovering around minus 20 degrees Celsius, exterior conditions were still severe, but had improved somewhat during the night. A rescue helicopter finally arrived on the scene, but because it was impractical to open the hatch, the only option was to tow the capsule to the shore—an untested and hazardous procedure. “It was a difficult operation,” wrote Rex Hall and Dave Shayler in their book, Soyuz: A Universal Spacecraft, “as the helicopter was nearly dragged down by the reserve parachute when it emerged from the water. The towing caused severe buffeting during a demanding 45-minute trip for both the helicopter crew and for the cosmonauts in the capsule.” Not far from the shore, Zudov and Rozhdestvensky came close to suffocating when Soyuz 23 nearly sank, but at long last, 11 hours after hitting the icy waters of Tengiz, they were back on dry land. At 7 a.m. Moscow Time, the electrifying news was relayed to mission controllers and to the press: against all the odds, the crew was alive! The crew had felt the motions, but Zudov’s instruments told him that they were stationary. He knew that if he abandoned the final approach, there would be insufficient fuel reserves for a second attempt and therefore waited until the last possible moment before making his decision. In the final report, dated 2 December 1976, it was concluded that the indicator lights on Zudov’s panel had recorded an accurate approach, and it was indeed the Igla which had erred. Armen Mnatsakanyan, Igla’s designer, was offered the chance to resign. 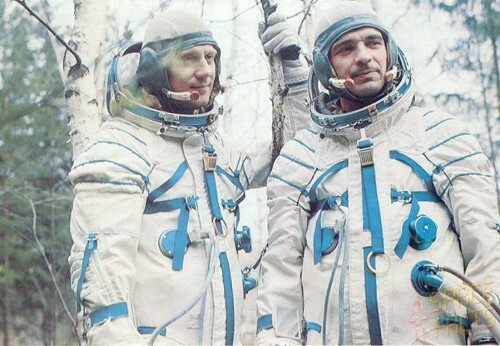 When he refused to do so, he was fired in January 1977, only weeks before the next Soyuz crew—Viktor Gorbatko and Yuri Glazkov—were set to put two bitter doses of bad luck behind them and finally bring some much-needed success to Salyut 5. By Ben Evans. This article has been drawn from AT HOME IN SPACE, the third volume of Ben Evans’ six-volume History of Human Space Exploration (1961-2011) series, published by Springer-Praxis. ISS Ammonia Leak, a False Alarm?